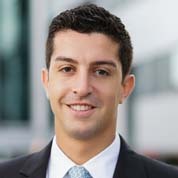 George I. Spanos has been involved in Commercial Real Estate Finance since graduating from Marist College. As a member of GCP Capital Group LLC, George primarily focuses on arranging financing for income producing properties in the Tri-State area. Prior to joining GCP, George worked for a family owned LI based management company.